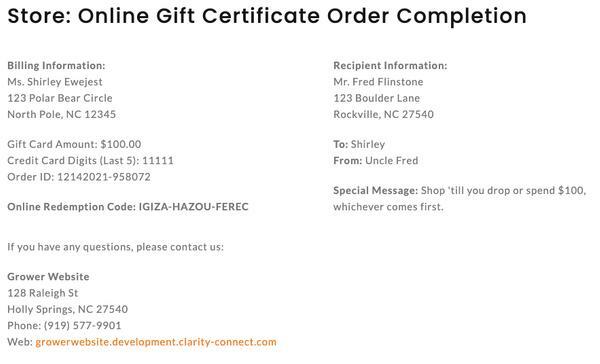 With online gift certificates, the purchaser can either print out the gift certificate and give it personally or have the site e-mail it with a custom note. The purchaser has an on screen confirmation as well as a confirmation e-mail. 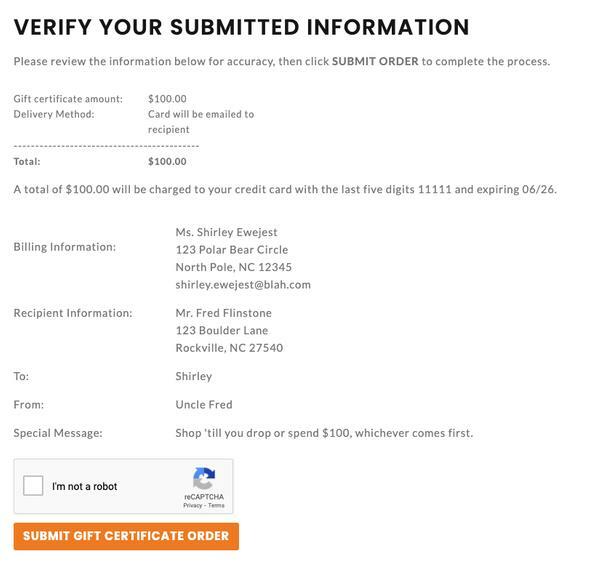 Shoppers enter their gift certificate code at checkout. If the order total is less than the gift certificate value, the remaining balance will be stored for future use. If the order total is greater than the gift certificate balance, a credit card is required to complete the order. 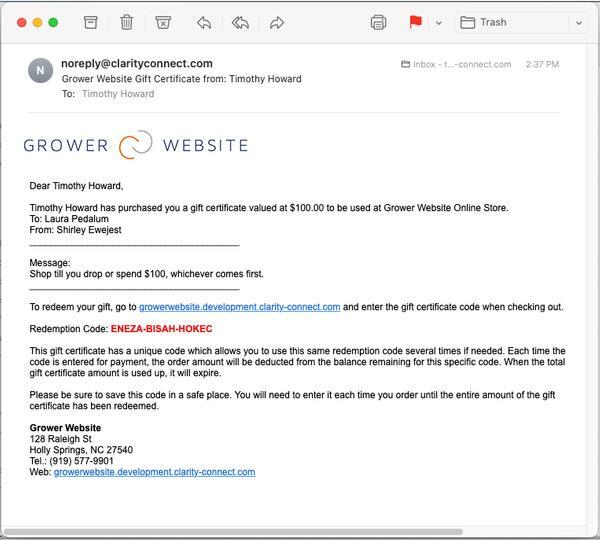 Romence Gardens sells gift cards online for in-store redemption. 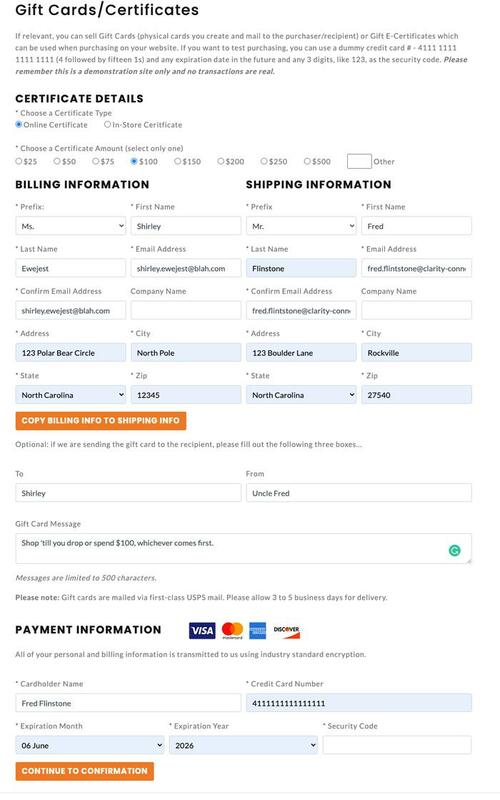 You can add the ability for your customers to purchase online gift certificates or gift cards and then have them redeemable at your physical location or through your Clarity Connect shopping cart. Gift certificate and gift card usage has been on the steady increase for years. Don't miss out on the opportunity to increase sales with online gift certificate purchases. If you implement online redemption, users will be able to login to their account to see the open balance on their gift certificate. If their order value is larger than their gift certificate balance, they will be required to pay for the balance on their credit card. If the order total is less than their gift certificate balance, their available balance will be reduced by the order total.